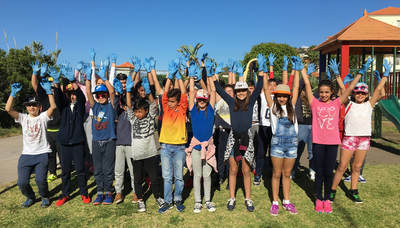 ​Following the “Climate Change Education Inside and Outside the Classroom” regional workshop in New Caledonia in 2014, Melekeok Elementary School started Sandwatch activities. 2017: In Madeira this school year we are developing many activities related to the sea. We embraced a regional project of Ocean Literacy, developed by the Regional Secretariat of Education and led by the former president of the School’s Parents Association, one of the first enthusiasts of the “Reis Magos” beach sponsorship initiative, Dr. Sandra Brito. At the end of the school year we are planning a whole week dedicated to the sea, with many sporting and artistic activities. In the 13th of November our school received the visit of Dra. 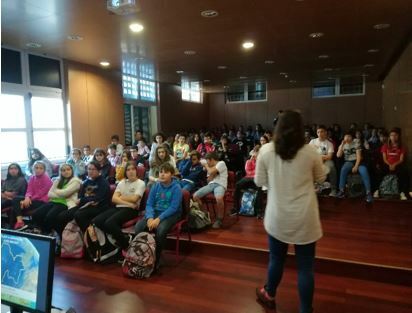 Ágatha Gil from CIIMAR (Interdisciplinary Centre of Marine and Environmental Research – University of Porto) who gave a presentation to parents and students from the 6th grade. 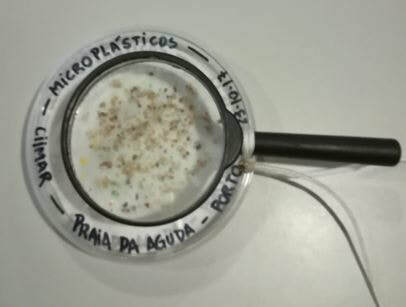 We had the opportunity to learn more about the SEACHANGE Project and the environmental contamination by Microplastics and their implications for the health of ecosystems, animal and human. In Portugal the National Sea Day is celebrated on November 16. Several initiatives have taken place to show the importance of the sea for the economy and for national development. In our school the 7th grade classes made slogans and logos about the sea and presented an exhibition in the school hall warning for the importance of the Oceans and the need to preserve it. This year our most traditional Sandwatch activity, the cleaning of the “Reis Magos” beach associated with the beach sponsorship initiative, was planned for the 13th of December but unfortunately was cancelled due to bad weather conditions. However the beach will be cleaned on a date yet to be defined with the collaboration of our usual partners. - Please click here to see all our amazing photos!!! Jan 2017: To celebrate the World Environment Day, Galo Resort Hotels, in its environmental management program, organized a cleaning activity in a coastal zone, the “Ponta D'Oliveira” and in the sea, in the Natural Reserve of “Garajau”.